WrestleMania 35: 6th Annual Andre The Giant Memorial Battle Royal (Kickoff) - Wrestling Inc.
We go to the ring with Tom Phillips, Aiden English and Byron Saxton. The ring is full of Superstars as SNL's Michael Che and Colin Jost make their way out. The Hardy Boys, Matt Hardy and Jeff Hardy, are out next. We go back to the panel to discuss the Battle Royal as The Hardys make their entrances. The ring is now full of Superstars waiting to get started. Braun Strowman makes his way out next to a pop. 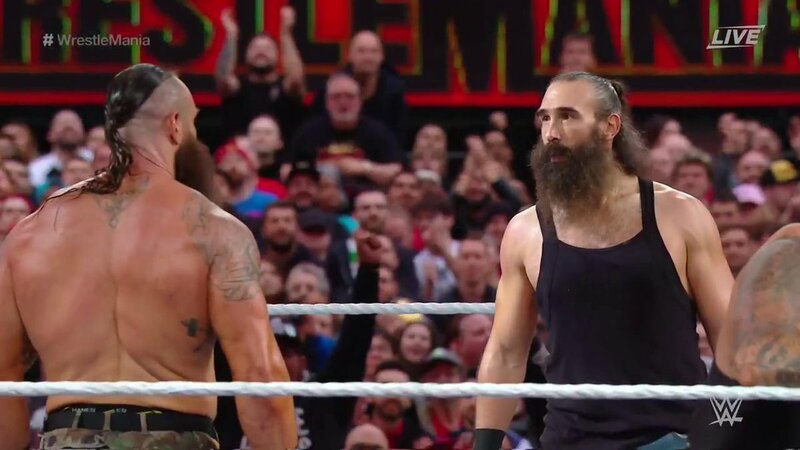 Luke Harper stares Strowman down as he enters the ring. Che and Jost retreat and hide under the ring to start. Lince Dorado and Curtis Axel get tossed to start. Bodies start flying by Braun as Lince Dorado, Curtis Axel, Tyler Breeze, Shelton Benjamin and Bo Dallas are eliminated. Titus O'Neil eliminates Heath Slater. Apollo and Bobby Roode work on Apollo Crews. Titus works on Ali. Titus gets eliminated. Ali works on No Way Jose now. Jose gets eliminated. Heavy Machinery with a big double team on Braun. Braun ends up knocked to the floor but he goes through the ropes. Karl Anderson goes to the top but Titus eliminates him. The Hardys eliminate Rhyno. Roode and Matt go at it in the corner. Jeff with the double team on Roode. Roode gets eliminated. Gran Metalik gets eliminated. Andrade eliminates Kalisto.